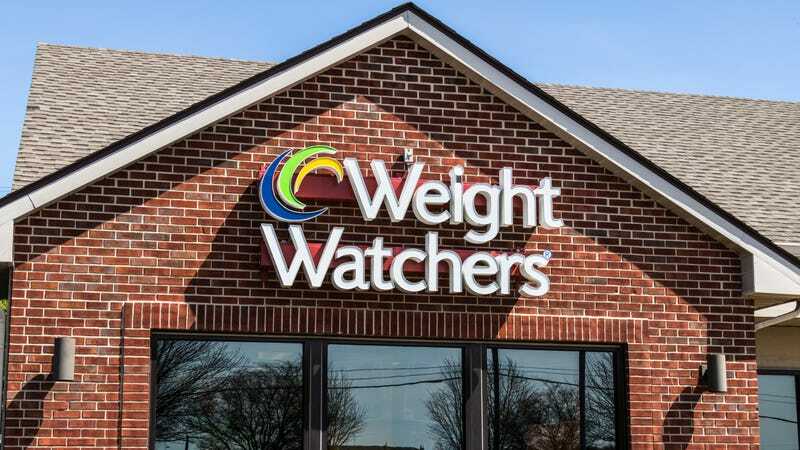 The Guardian reports today that Weight Watchers is exploring a bit of a revamp. The longtime diet organization has dropped “Weight” from its name—in a “Kentucky Fried Chicken is now KFC”-type swoop—in favor of the sleeker “WW” (its Wikipedia page has already been updated). WW is boosting the social media segment of its app, in the hope that dieters will check it as often as they do Facebook or Twitter. The company is also reconfiguring its line of ready-to-eat-meals to “remove artificial sweeteners, flavors, colors, and preservatives” as well as updating the food-and-exercise-tracking points program “used by its 4.5 million subscribers to manage their progress to encourage different kinds of healthy activities.” The company is in fact on a bit of an upswing, thanks to a considerable 2015 investment by Oprah Winfrey (a 10-percent stake for an estimated $43 million) helping to boost stock prices. Still, there are a variety of free fitness apps available, many of which don’t cost you WW’s $19.95 monthly fee. And those using FitBit already know how many calories they’re burning per day and how much exercise they’re getting. So why still belong to the former Weight Watchers in the first place? So I’ve been through these types of changes with WW before. Some people in the “Connect” section of the WW website are currently freaking about what these program updates might be. But this is far from the first time that the “points” system has been tweaked; it currently favors an eating plan that focuses on high protein, low sugar. As I started dieting as a child by counting 1,000 calories a day, the WW plan feels familiar—fitting your day’s diet into a certain structure. But the tracking is easier and hopefully healthier than old-fashioned modes of just tracking calories and carbs. And that “Connect” section itself is much different from the WW message boards of old, which resembled AOL chat rooms. This section is more like an Instagram where your only followers are WW-related. While it’s nice to see the pics of people happy on the scale, I can’t really see myself participating in it that much. So what actually keeps me on WW? A combination of nostalgia and guilt. I figure I should be using something; it might as well be the one that’s been tracking me for several years. And the thought of not using anything is just too unsettling. Which is why it’s interesting that the new WW will also place a priority on mindfulness, drawing inspiration from the Headspace app to offer tips and mental exercises. I find that update the most exciting news of all in WW’s announcement today. Because honestly, if I got to a point where I was constantly mindful about eating, maybe I could finally toss the WW app once and for all.